Dr. Goode is an Assistant Professor at the School of Social Work, University of North Carolina at Chapel Hill (UNC-Chapel Hill). She received her PhD, MPH, and MSW from the University of Pittsburgh. Her research interests include developing, implementing, and evaluating interventions to address racial/ethnic and socioeconomic disparities in obesity and eating disorders. Her research has been funded by the NIH, Albert Schweitzer Fellowship, Magee Womens Research Institute, and the University Research Council at UNC-Chapel Hill. 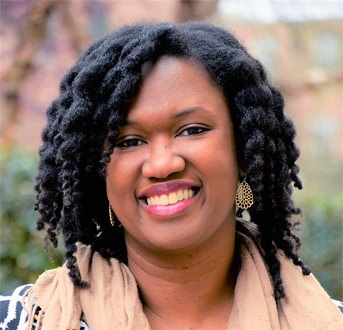 Currently, Dr. Goode is the principal investigator of a pilot feasibility grant from the Nutrition and Obesity Research Center at UNC-Chapel Hill to reduce binge eating and prevent weight gain in African-American women with overweight and obesity. Additionally, Dr. Goode is a licensed clinical social worker, and has practice experience with the treatment of eating disorders and obesity among clients in university counseling centers, and community-based mental health agencies. She has been fortunate to be the recipient of various awards, including the Oprah Civic Leadership Award, National Health, Lung, Blood Institute (NIH) Research Service Award, and the Outstanding Dissertation Award from the Society of Behavioral Medicine. 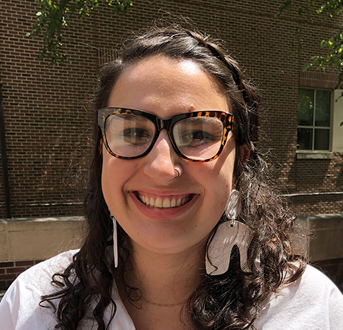 Mariah Cowell is a Master’s Degree in Social Work student at the University of North Carolina at Chapel Hill. Cowell received her Bachelor’s Degree in Social Work from the University of North Carolina at Charlotte. Her work experience includes community-engaged research, program management and evaluation, and data analysis. Her research interests include racial equity, health disparities, incorporating anti-oppressive frameworks into practice, social work ethics and responsibilities, and educational and housing policy. Mariah is excited to be a part of the Living F.R.E.E. Lab and to be working towards research that enriches the existing knowledge base and provides culturally competent interventions and treatments. 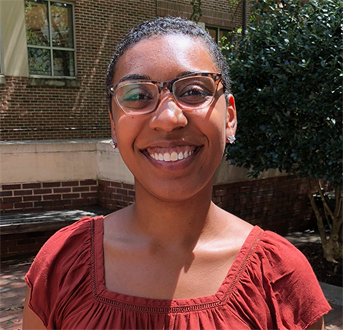 Courtney Cooper-Lewter is a Masters of Social Work and Masters of Public Administration dual degree candidate at the University of North Carolina at Chapel Hill. Courtney aspires to become a part of the policy-making process as a public servant and an advocate. She began her journey of social justice and public service in her hometown of Columbia, South Carolina through grassroots advocacy and involvement in local government. She has been involved in research around family engagement with school systems, traction alopecia affecting African American women, and substance abuse prevention in African American and biracial youth. Throughout her career, Courtney has developed her passions for empowerment in communities of color, immigrants families, and women’s rights. For Courtney, the Living F.R.E.E. Lab means more than research. It means sharing knowledge and creating a more understanding community.